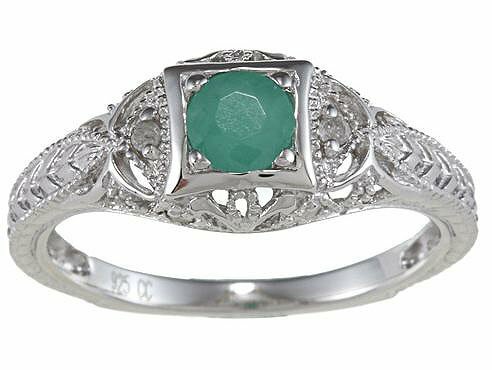 Antique emerald rings have a special lure because of their beauty, rareness and unique features. They represent by gone days and give the wearer a feeling of connecting with the past. Since technology was less advanced back then, rings were carefully handcrafted with exceptional skill, paying close attention to the finest details. You will rarely find two antique rings that are exactly the same. This makes a treasured addition to any jewelry collection. Most of these rings also have a colorful history behind them. The more interesting the story, the more sentimental value the ring will hold. Even if that history is not from your past or the past of anyone you know, it makes the ring more interesting. The story behind a ring can sometimes be a drawback. If the previous owner died a horrible death, suffered greatly during life or fell victim to some other tragedy, the ring may be considered cursed. Opal rings have the worst reputation for being associated with bad luck. Emeralds, on the hand, are generally viewed as bringing nothing but good things. 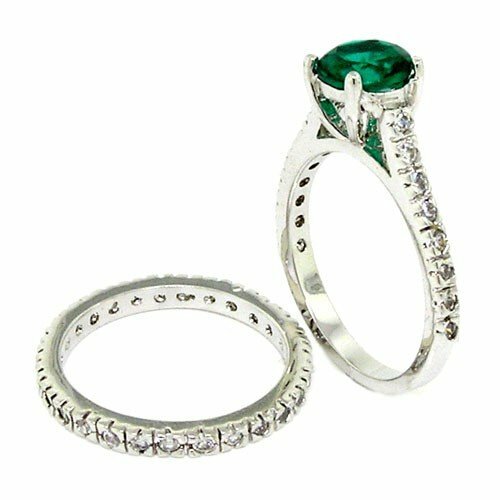 So, that is one big plus about choosing an emerald ring as opposed to other precious gems. 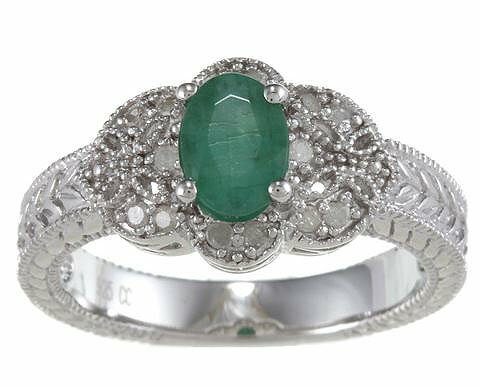 If you are thinking about antique emerald rings as a gift or an engagement ring, it would be wise to inform the intended recipient. Unless of course, you know for a fact the she would appreciate an antique ring. Some people don't like the idea of wearing a “used” ring because they never really feel as if the ring truly belongs to them. Even though authentic antique rings are quite rare, there are many to choose from. And the variety of styles and designs can be very overwhelming. Where do you even start? Most people turn to the internet. In these times of instant access to everything imaginable, the internet is the most logical, and easiest choice for finding the perfect ring. But beware. There are millions of imitations out there in the real world and even more in cyber space. You have no way of verifying the image on the screen is an authentic antique, a real gemstone or even if that is the product that you will actually receive. 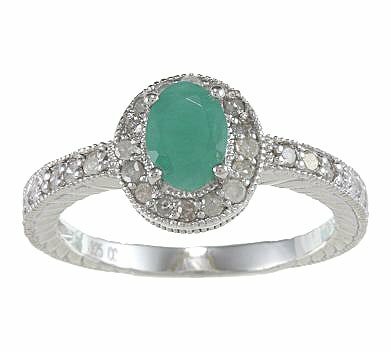 One of the best places to find a real antique emerald ring, at a reasonable price is at a live auction or estate sale. Pawn shops are also great places to find fabulous antiques. People fall on hard times and have to part with their precious jewelry. This is an excellent opportunity for a savvy shopper to pick up a great product, usually for much less than what it is really worth. The trick is to be at the right pawn shop, at the right time. 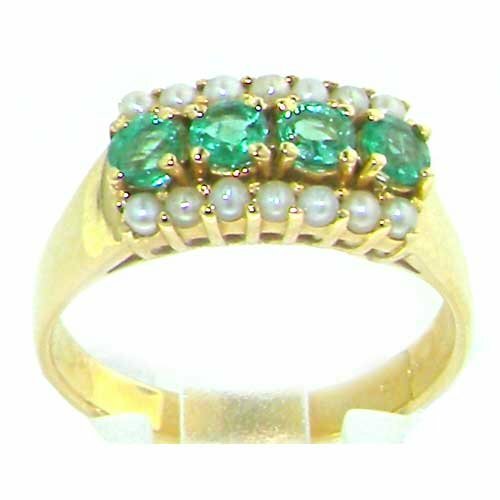 Online auctions are also good places to find affordable antique emerald rings, just make sure the dealer or seller is trustworthy, has a solid reputation and many satisfied customers to back him up. 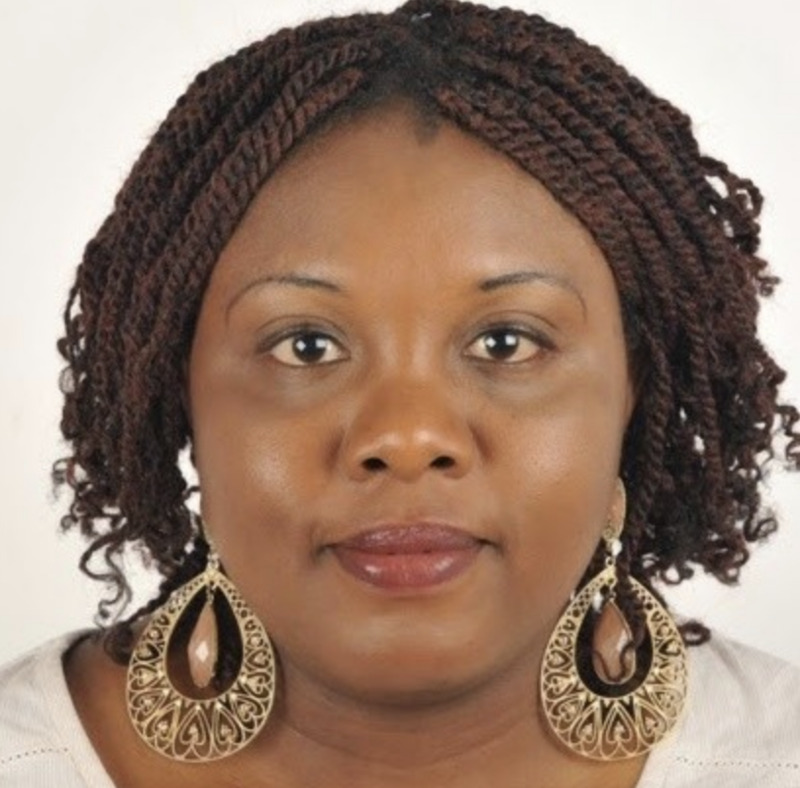 Why Buy an Antique Ring? 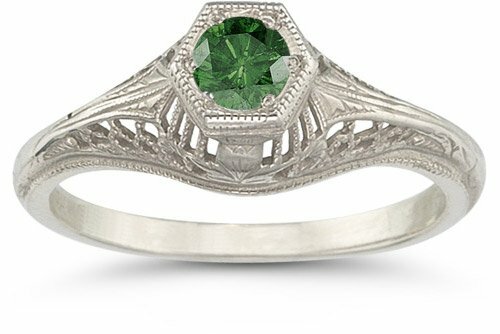 The biggest reason people opt for antique emerald rings is their originality and uniqueness. Because each ring was handcrafted by a master jeweler, there were never two created exactly the same. You will have a truly one of a kind ring. They are extremely rare. Most families keep their jewels in the family, handing them down from generation to generation. By pure chance there is no one to hand the rings down to, so they end up in an estate sale, but most of them are kept by the heirs forever. What the band is made of – if it is gold, how many carats? Antiques rings were generally made of 18 or 15 carat gold. These days the norm is 14 carats, so if the seller says 14 carats, you know it is not an antique. · Chips or other damage. If the ring has been restored or altered in any way. All dealers are anxious to sell their products and might tell you anything you want to hear, but you should be able to tell by their tone if they are eager to make a sale or truly love antique gems. A true antique lover will never try to sell an imitation. He will be proud of this rare jewel and will be completely honest about the quality and the history behind the antique emerald rings he is trying to sell.